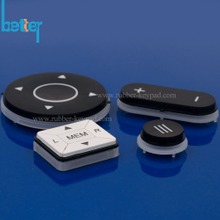 Conductive Rubber Button Pad includes carbon pills, conductive ink , metal domes and metal pills. 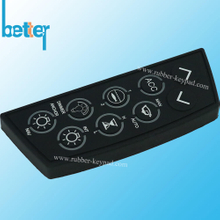 Rubber keypad includes laser etching keypad and silk screen printing silicone rubber buttons. 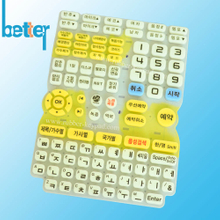 Silicone keyboard should be sprayed with coating to protect the text on rubber keypad. Silicone keyboard cover: oil and PU cover. Silicone Rubber Buttons can be classified from conduction, surface text & symbols treatment and surface protection coating. 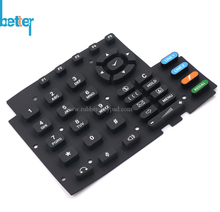 All rubber keypad buttons should pass dimension test, life time test, actuation force test and surface abrasion test. 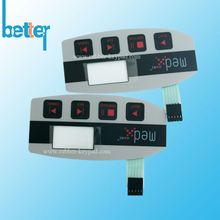 To know about the rubber keypad and membrane switch prototype making from customers' case analysis. 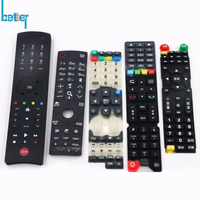 Silicone Rubber Keypad & Keyboard have many conductive ways, like carbon pills & graphite pads, conductive ink printing, metal domes, nickles pills, copper & golden pills. 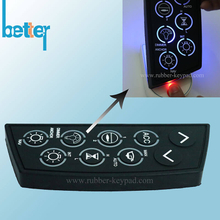 Epoxy Coating Silicone Rubber Keypad, the key top of Epoxy keypad have ornate-crystal beauty and also have a good transparent effects like hard PC PMMA plastic keypad cap. 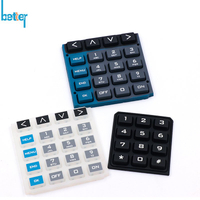 Compared with plastic + silicone rubber keypad ( P+R keypad ), the production cost of silicone epoxy keypad is significantly less, and also more flexible. 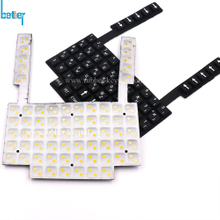 Button Pad 4x4 - Led Compatible, which is 4x4 transparent & translucent silicone keypad compatible with 3mm & 5mm LED light, in aim to attain light up your switches projects. mainly used in musical device etc. Following is main information about Button Pad 4x4 - Led Compatible. 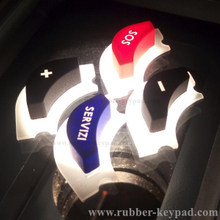 Silicone rubber button can be mixed with various colors, and different surface treatment. Generally, there are two different way to form button surface characters. Laser etching and silkscreen printing.Generally, after laser engraving and silkscreen printing, it need to coat Matt smooth coating( matt oil), PU coating to protect the surface characters. In common application environment, Matt smooth coating is good enough to protect button surface. Why silicone rubber keypad button stuck?